Keiko Brodeur (a.k.a Small Adventure) is the talented illustrator behind December’s Papergang box! Featuring all things adventure and wanderlust, this box will make you want to explore the outdoors! 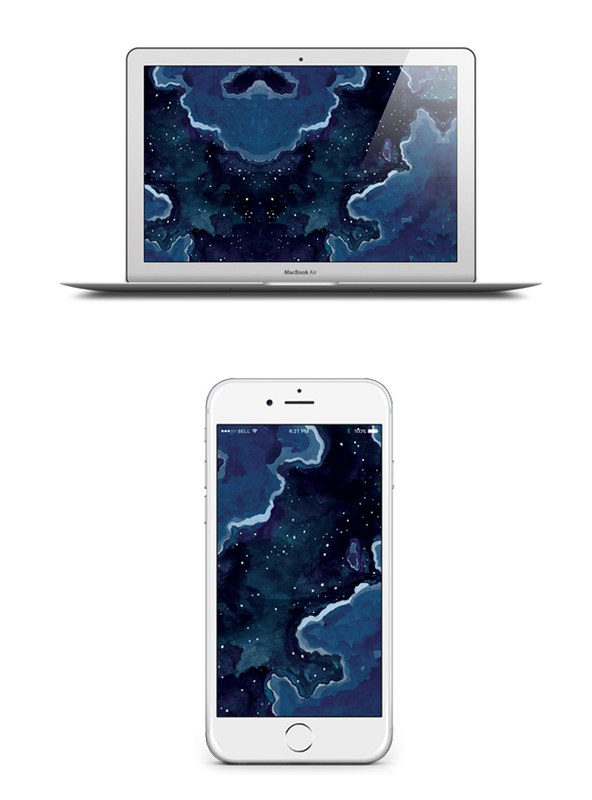 You can now have Keiko’s midnight sky design as your laptop wallpaper or phone background by simply following the instructions below. If you want to see Keiko’s illustrations featured on some wonderful stationery, don’t forget to subscribe to her Papergang box! Only £10.95 (plus P+P). Click here to learn more. Simply click the button below and download the wallpaper when it opens in a new tab. Don’t forget to tag us in photos of your lovely new backgrounds using #papergang. Fancy gifting something special and that little-bit-different this Christmas? Gift someone a Papergang subscription or simply learn more about the box here. December’s box has been illustrated by Small Adventure!